Fabulous Coastal Plantation completed in 2017. Living rm has captivating 22-ft bamboo-tiled fireplace, dramatic high ceilings & wet bar. Flawless construction and finishes. Wide Euro-cut white oak floors t/o. Open kitchen plan features large island, marble counters, Thermador appls--including 48" 6-burner range, drawer microwave & 55-bottle wine tower. Shaker-style cabinetry is accented by maritime-inspired pendant lighting. Family room has 4-panel bi-fold doors that open to brand new salt-water pool, jacuzzi & waterfall. 1 bedroom, powder rm & mud rm on entry level. 2nd floor has 4 bdrms inc. corner Lanai w/ ceiling fan, heaters, wiring for speakers & big-screen tv. Sunny SE corner bdrm has its own bath, blt-in desk + high end closet organizers. 2 addt'l bdrms share jack-n-jill bath. Master suite (17x19) has Juliet balcony overlooking pool, Koa wood ceiling fan, large walk-in closet & bathrm w/ custom tile-rug floor, soaker tub+sep shower, twin sinks & marble counter. Upstairs staircase landing has a nice bench seat. Addt'l features incl double-hung Marvin "Integrity" windows, Koa wood ceiling fans, 4" LED lighting t/o, dual-zoned "nest" system heat, air conditioning, tankless water heater, epoxy-coated garage floor & car lift (3 car garage parking! ), elec. car charger, Cat-6 & video security system. Blocks to Meadows Elementary & MB Middle Schools, Pollywog Park and MB Mall. 405 & 105 Freeways 5 minutes away! LAX 10 minute drive. Quality on a level not seen at this price. Lot Size: 0.11 Acres / 5003 Sq. Ft.
SchoolsClick map icons below to view information for schools near 2109 N Meadows Avenue Manhattan Beach, CA 90266. Listing provided courtesy of Ross Cohan, Beach City Brokers. 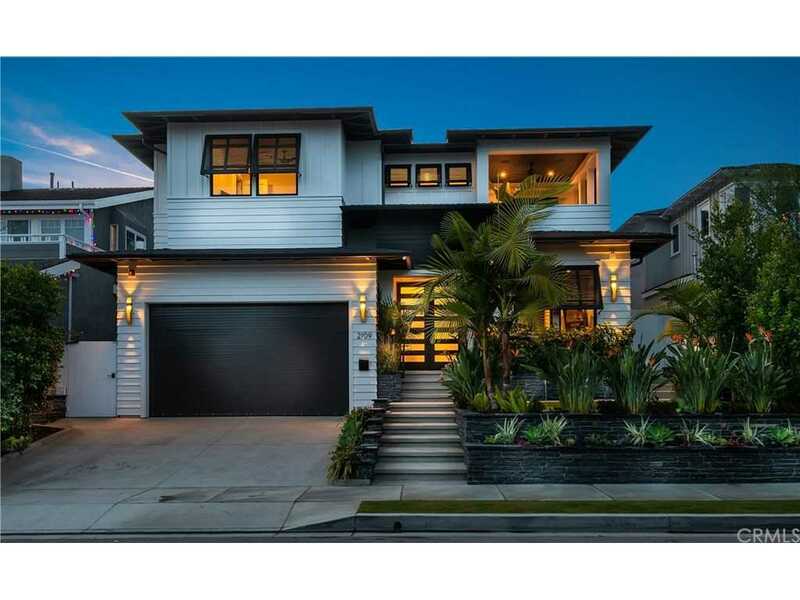 Home for sale at 2109 N Meadows Avenue Manhattan Beach, CA 90266. Description: The property at 2109 N Meadows Avenue Manhattan Beach, CA 90266 in the subdivision with the MLS# SB18283166 is currently listed for $2,650,000 and has been on the market for 122 days. You are viewing the CRMLS listing details of the home for sale at 2109 N Meadows Avenue Manhattan Beach, CA 90266, which features 5 bedrooms and 5 bathrooms, and 3448 sq.ft. of living area.